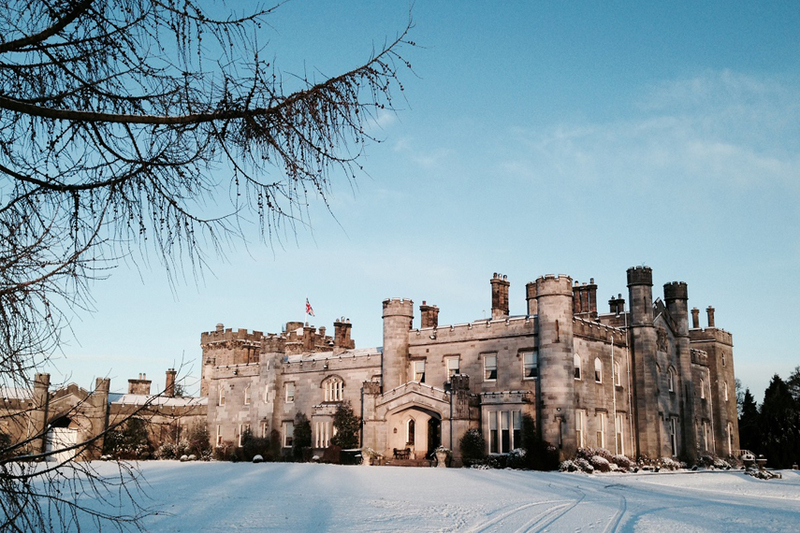 Many couples dream of a white winter wedding in a Scottish castle, and luxury wedding venue, Dundas Castle, is now offering this rare opportunity for less with a special New Year offer. The five-star, exclusive use venue is offering a discount of £2019 to welcome the first weddings of 2019, as well as all the ingredients for an unbeatable winter wedding atmosphere. From the piper greeting guests on arrival, to the dazzling display of fireworks as night falls, every perfect moment will be taken care of, while also leaving couples with a little extra money to celebrate with. As part of the offer, as well as receiving £2019 off the facility fee, couples booking weddings in the months of January and February will benefit from a glass of sparkling wine for every guest; a special ‘buy two get two free’ canape offer from luxury caterer, Prestige Venues and Events; a piper to greet guests and pipe to dinner, and a bonus firework ‘finale’ worth £250 with every purchased display over £795 from 21cc Fireworks. Dundas Castle offers a flexible choice for weddings, with a multitude of options for holding a religious, humanist or civil ceremony. Couples looking for a traditional Scottish Castle wedding need look no further than the 15th century Auld Keep, while the elegant main house provides a spectacular home from home for a sophisticated yet comfortable feel. Meanwhile, larger weddings of up to 200 can take place in the contemporary Pavilion Marquee or in the beautiful outdoor courtyard. The Winter Package is applicable for weddings taking place in January and February 2019. The offer is subject to availability at the time of request and only available on bookings made from 1 July 2018. For more information, please visit the Dundas Castle website.